2019 Chief Redskin Application is READY! 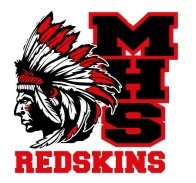 MCHS Seniors can apply NOW for the 2019 Chief Redskin Scholarship! Click on tab for link to download the Application. Deadline to apply is April 15th, 2019! Find out what is happening in Redskin Nation! This includes notes from our monthly meetings. Click here for a list of our upcoming events. This includes links to registration forms. Click here for pictures of what is happening in Redskin Nation. This link will take you to our Shutterfly photo gallery. We would not be possible without the GENEROUS support of our sponsors. Please support them because they support us! Home of the Momence Redskins!